‘Music Of Love’ is a piano folio released by Hal Leonard Publishing Corporation in the mid 1980s. 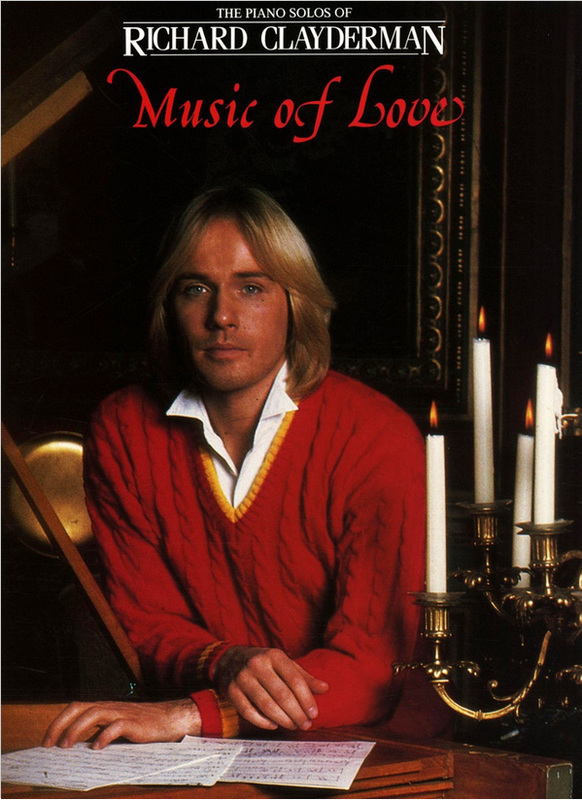 It features many of Richard Clayderman’s most notable songs from albums including ‘Les Musiques De L’Amour’ and ‘Rêveries’. The music book is avilable from internet suppliers in both a printed version and kindle, and some of the links are below. ‘Ballade Pour Adeline’, ‘Love Story’, ‘Sonate Au Clare De Lune’, ‘Moon River’ and ‘La Vie Un Rose’.